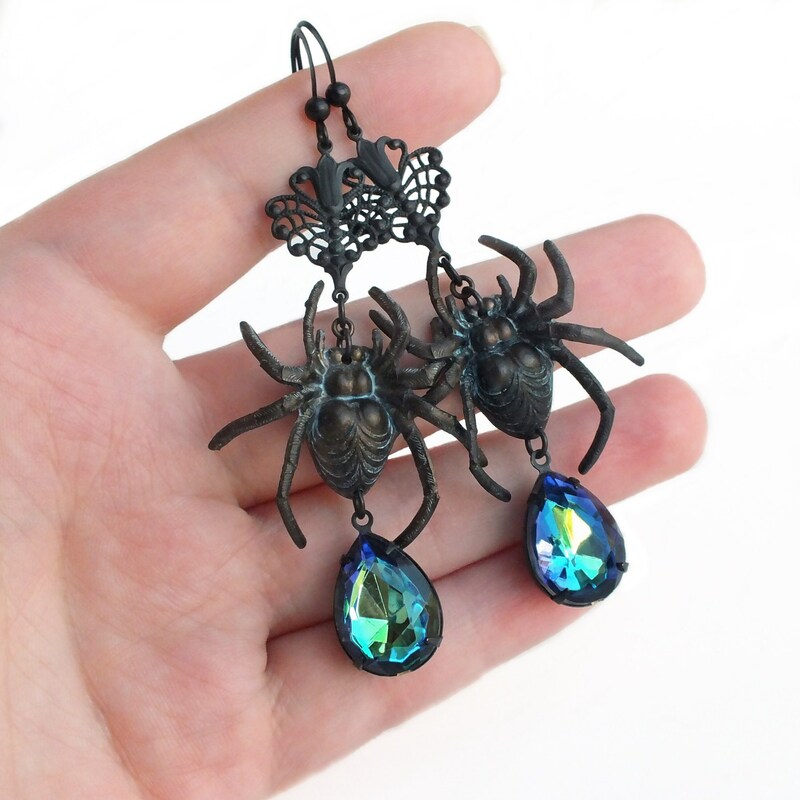 Large Halloween handmade spider earrings with black brass charms and vintage blue crystals. 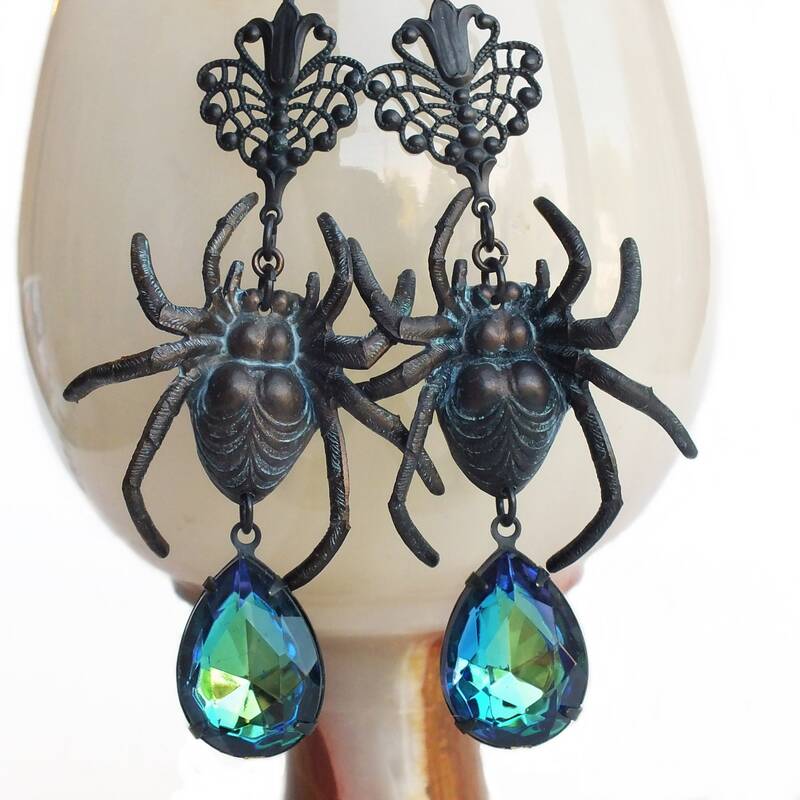 US made antiqued brass spiders, filigree and ear wires. 3 3/8 inches - 8.5 cm long. 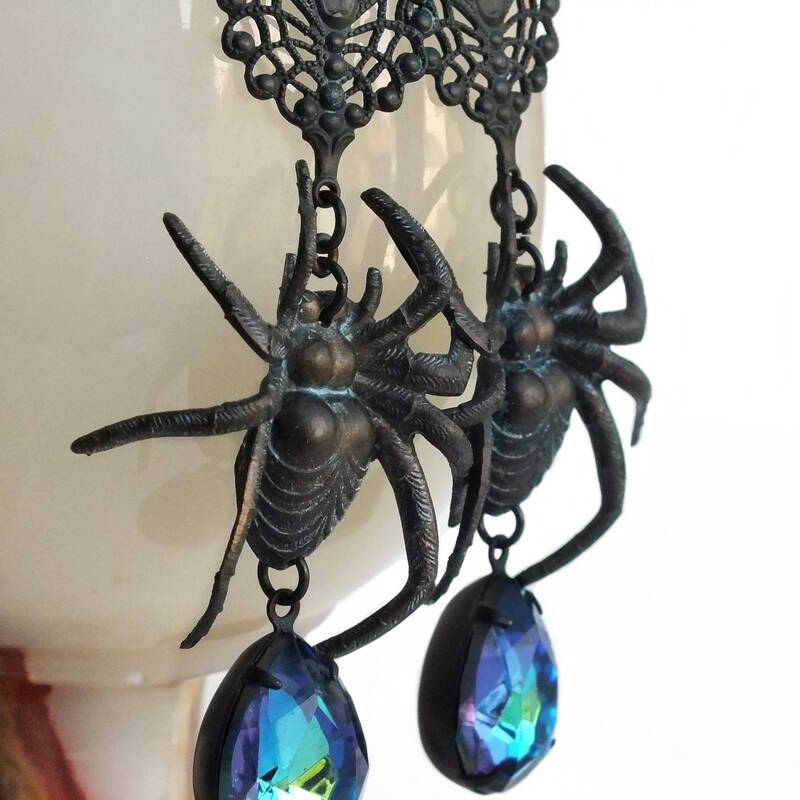 Made with extra large detailed brass spiders and peacock filigree connectors I antiqued to a dark smoky matte patina. 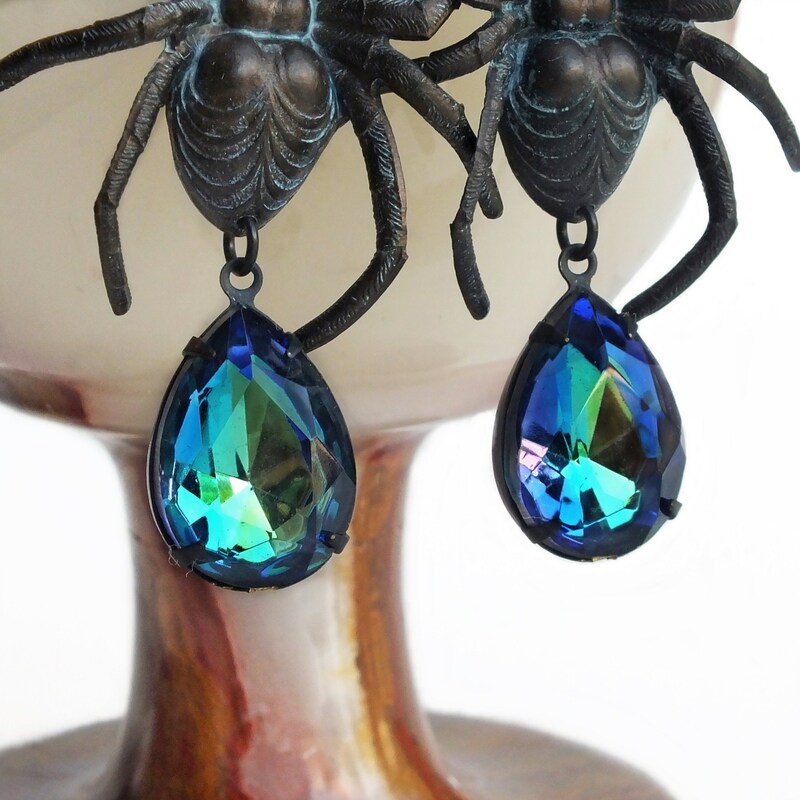 Adorned with gorgeous large sparkling vintage glass tri-colored bermuda blue rhinestones. 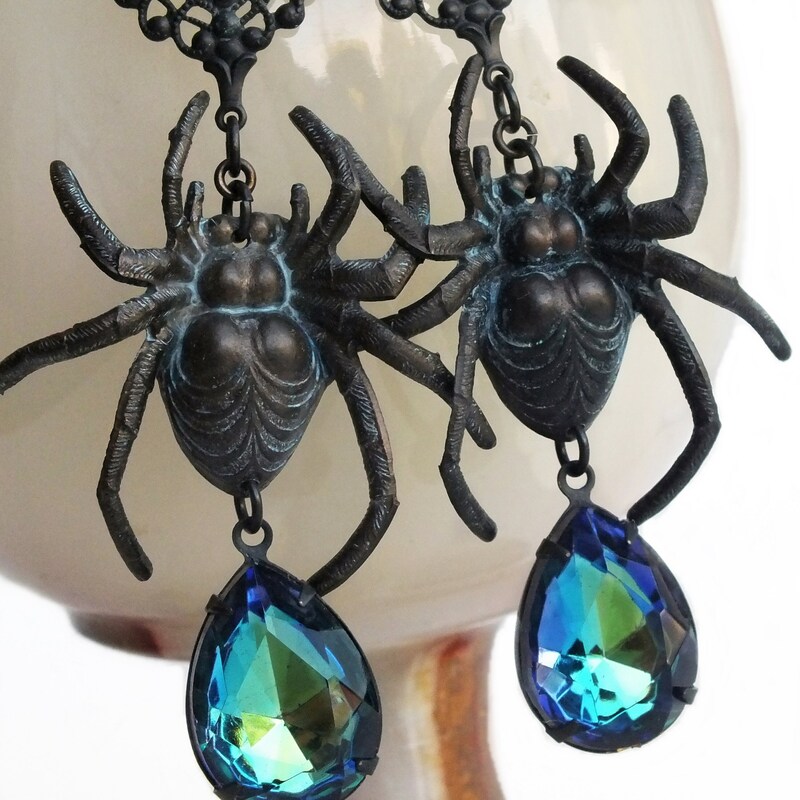 The spiders are realistic enough to creep me out!